Niko Kovac believes Bayern Munich produced their best performance of the season in Saturday's crushing 4-0 win away to struggling Hannover. Bayern have been inconsistent this term and their form has seen Kovac's future called into question, but they were irresistible at times on Saturday. It took them just over a minute to open the scoring, as Joshua Kimmich netted a volley from the edge of the area, before David Alaba blasted in a stunning half-volley of his own. Bayern never looked in danger and continued to cruise in the second half, with Serge Gnabry and Robert Lewandowski getting in on the act. 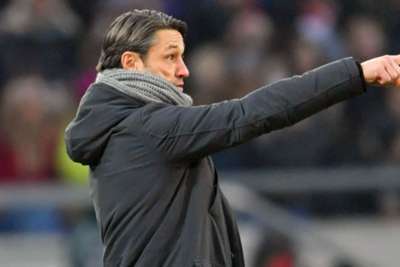 Kovac was impressed with the performance and doubts Bayern have played better this term. "I want to praise my team," he told reporters. "After a difficult match in Amsterdam [3-3 draw with Ajax], the team did a very good job in terms of the physicality, as well the mentality. "We've been dominant over 90 minutes and we were creating a lot of chances. We were lucky to take the lead and were relieved. "Andre's [Breitenreiter, Hannover coach] plan was surely overthrown. We were showing a lot of joy in our play, creativity and lots of counter-pressing over 90 minutes. That was good. "I think it was probably the best performance this season and I would like to pay my team a compliment for that. I wish Hannover the very best and hope they will collect some points before Christmas."